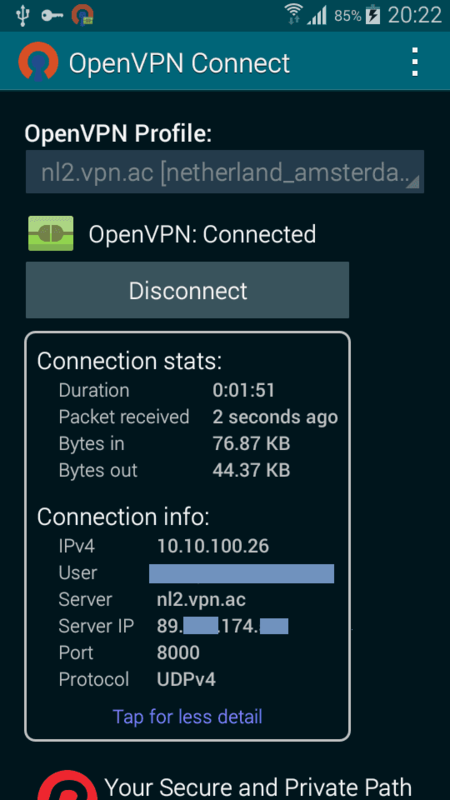 OpenVPN Connect is the official, open source OpenVPN client for the Android operating system. 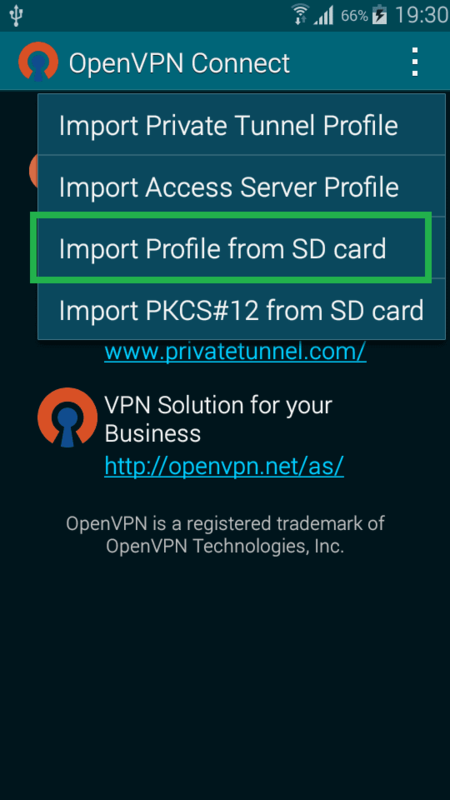 It is available to download from the Google Play store and allows users to import server profiles of their VPN providers to run secure OpenVPN connections on their Android device. Although many VPN services already support the OpenVPN protocol in their native Android apps, the main advantage of OpenVPN Connect is that it’s an open source, community-tested client, and for some you, this will be a key reason to use it ahead of your provider’s own, in-house-developed applications. It could be that your VPN provider doesn’t even have built-in OpenVPN support in their app, instead only giving you the option to use L2TP/IPsec or even PPTP protocols. Moreover, OpenVPN Connect offers certain features that aren’t always included in custom-built apps. These include options such as the internet killswitch (for blocking all internet traffic in the absence of a VPN), DNS Fallback (an option to use Google’s DNS servers in the absence of automated DNS re-routing) and additional tunnel compression settings, to name but a few. 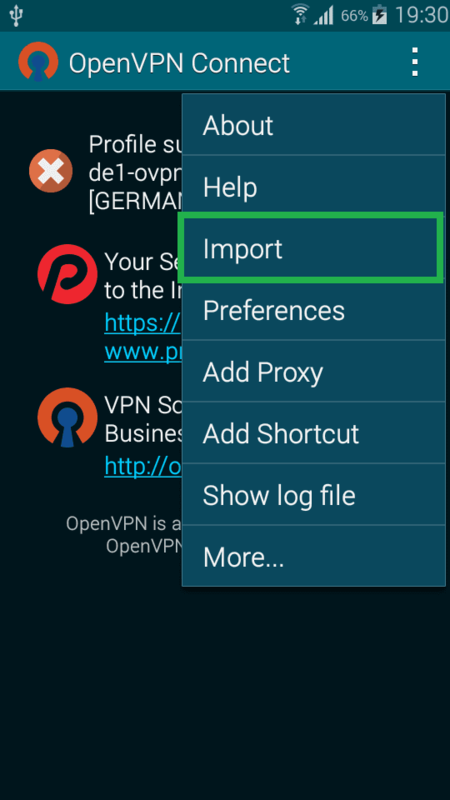 To show your how to use the client, we’ve put together a step-by-step tutorial on how to set up a VPN connection with OpenVPN Connect on Android 4 and 5 devices using a Samsung Galaxy S4 Mini. 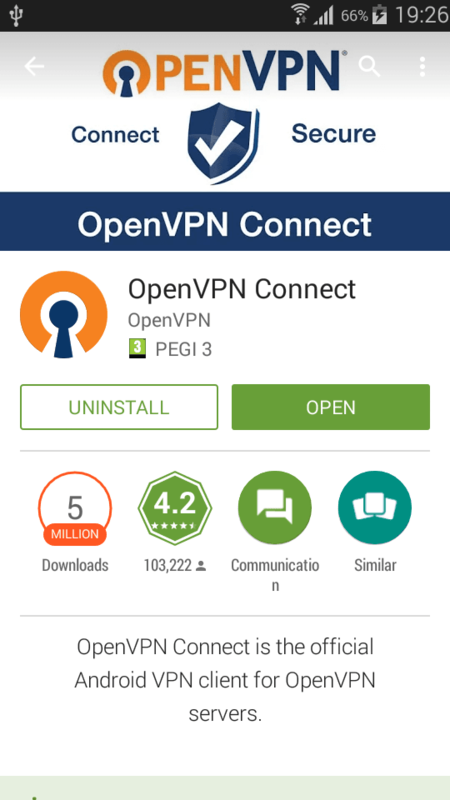 Firstly, download and install the official OpenVPN Connect application for Android from the Google Play store. Then, locate and download your VPN provider’s server config (.ovpn) files. These are normally found in the tutorial section of their websites. If you’re struggling to find them, ask your provider’s tech support to help you locate the files. 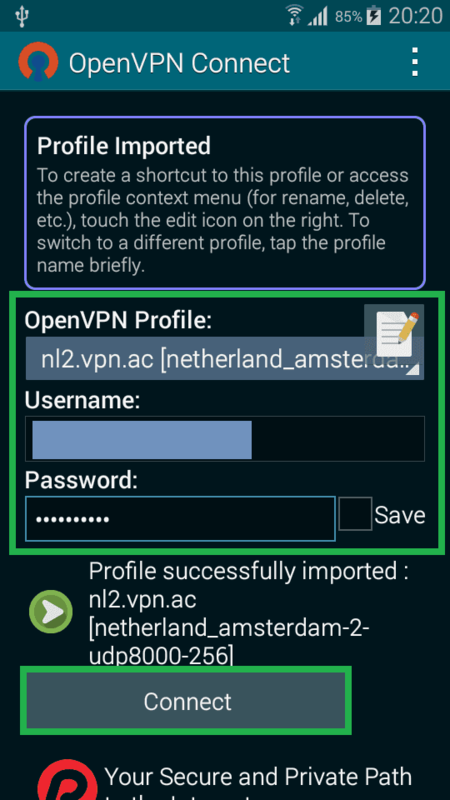 For this tutorial, we used VPN.AC as an example, downloading the profile of one of their Netherlands servers. If you plan on using multiple locations, you can download as many (.ovpn) server profiles as needed. Tap the app’s menu icon on the top right-hand side, then go to Import. From the popup that follows, pick the option Import Profile from SD card. 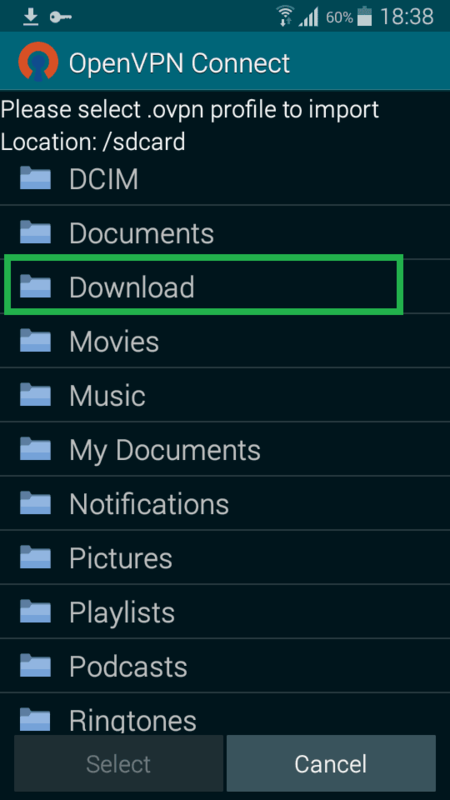 Head to the Downloads folder (if you’ve manually changed the destination folder for your web downloads, go to that folder instead). 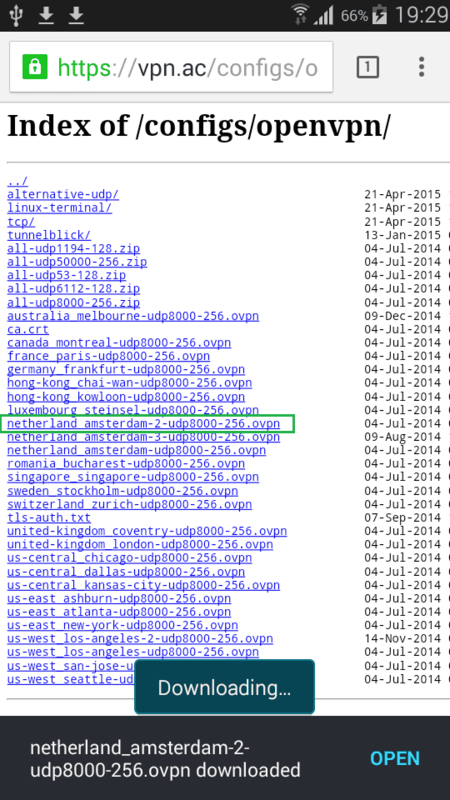 In Downloads, you will see the .ovpn server config file. Tap this file once to import it into the client. Having imported the server profile, you will now prompted to enter your VPN login information given/sent to you by your provider. Enter your VPN username and password, then tap Connect. The page will display a yellow progress bar confirming that the connection has been initiated. The client will now show that it has connected your device to the VPN server. You will see a button to disconnect on the same page. 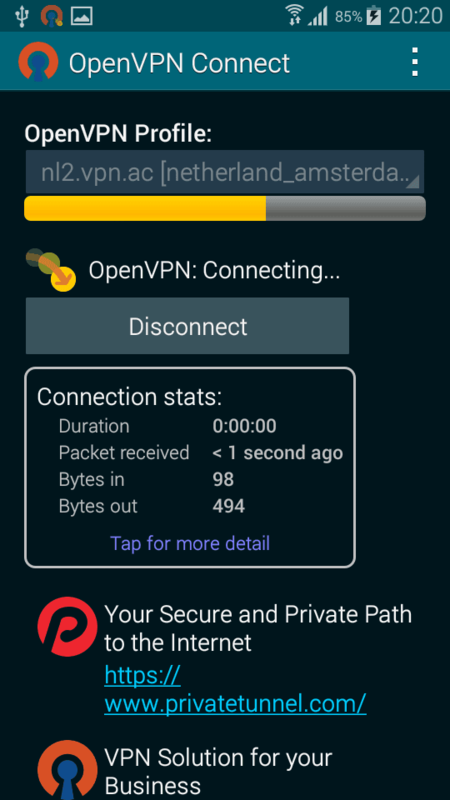 At the very top of your device’s screen, you will also see the Android VPN key icon as well as the app’s own OpenVPN icon, which also confirms that there is an active connection. You can always use either icon as a shortcut for managing the VPN, while the latter (OpenVPN) icon can be used to re-open the client. To double-check that your traffic is being re-routed properly via the VPN server, it’s recommended to run a simple IP address check. As demonstrated in the below screenshot, our own test showed that our own IP address had now changed to that of the VPN.AC Netherlands node.